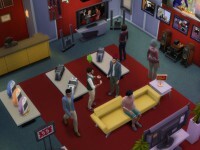 Build an run a successful retail business if you have the expansion The Sims 4 Get to Work. 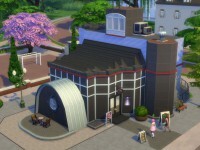 The retail store can only be placed on a special retail lot type and can’t be placed at your own home. 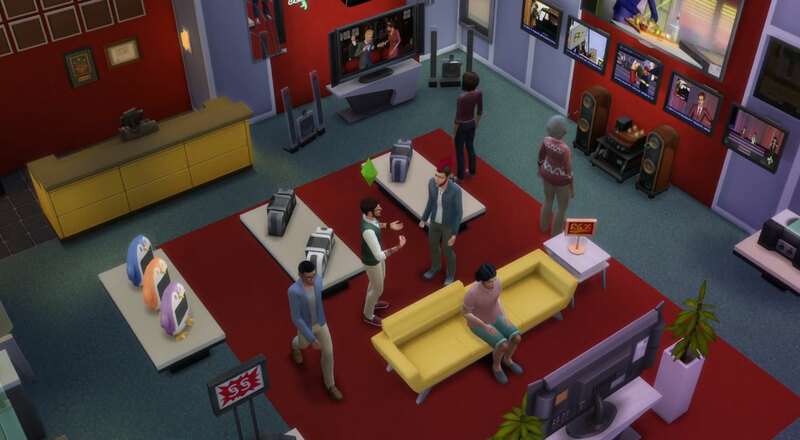 So your Sim needs to go to the retail store to manage it. But you can manage your store and have a full time or part time job with one Sim. 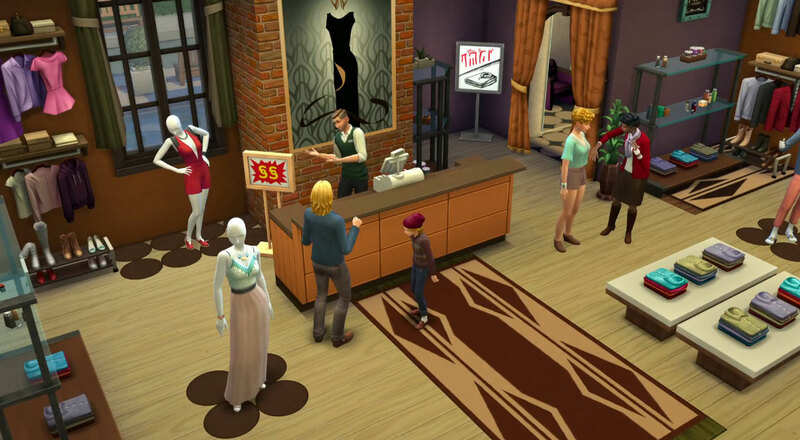 When your business is growing you will be rewarded with perk points, this will improve the sales skill of your Sims. This will also help to sell your products faster. Perks are earned over time by successfully interacting with customers, selling items, and restocking your store. If you choose to run a store with food you need to build a kitchen within your retail store to bake or cook the food you would like to sell. Run your store smoothly and make higher profits with your retail store or bakery. Get a higher curb appeal, let employees work faster and get more sales! The number of customers that visit your store is determined by your store’s curb appeal. You can check the level of your store’s curb appeal by viewing the Financial Report on the cash register. You can purchase advertising to temporarily increase your curb appeal. Web advertising provides a quick spike of customers that fades off towards the end, while a television ad provides a consistent boost of customers over the duration of the campaign. Place items like retail signs or neon signs for a more lasting impact for the curb appeal. Sims with the handiness skill can even upgrade their neon signs to animate or break less often. Shoppers are more comfortable purchasing from a pleasant retail environment. So make sure you keep your store neat. Clean the dirty displays and pedestals in your store. Cleaning goes a lot faster if you level up the Retail Maintenance Skill. Use Perk Points to purchase Perks like Serious Shopper that will increase a customers desire to purchase an item while entering the store. While working at the store you and your employees will level up their retail skills. This can help with faster cleaning, selling products faster and they will slack off less often. By maxing out each of them determine how well they work at your store. Assign a variety of tasks to your employees to make your store run at peak efficiency. Unlock additional employees with Perk Points. Before you can open your business you need to put items in your store for sale. You can do this by clicking on the desired item and click ‘put for sale’. When you open the store, customers will come to your store to look around. Before a customer wants to buy a product from your store you will gave to convince them. You can do this by interacting with the customer and build some kind of relationship with them. The higher your retail skill levels the faster you can sell product to your customers. When a costumer want’s to buy an item they will get an shopping cart above their head. 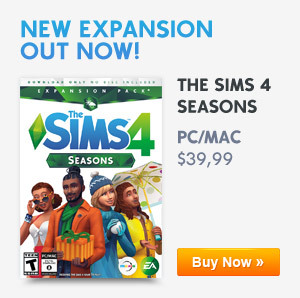 Click on the Sim to make the sale. You don’t have to do this at the register because your Sim will take out a tablet to make the sale. When an object is sold you have the option to restock. This will place the same object as it was before it got sold. Example: If you sold a painting made by your Sim it will place the same painting back on it’s place for the same price, you don’t have to make a new one. This also counts for collectibles. So If you found one collectible, you can keep restocking it and don’t have to find new ones. Restocking isn’t free. You will always have to pay a percentage of the price the object is sold for. You also have the option to place a new object your Sim has made or collected, this won’t cost anything to place the new object. 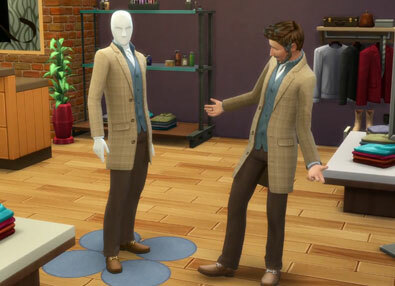 In The Sims 4 Get to Work expansion there are different types of mannequins. You can choose between a modern mannequin or a more realistic mannequin. These come in child mannequins and adult mannequins. After you place the mannequins in your store you can choose between different poses. These are; Neutral, Confident, Flirty, Playful, Active and Business. Mannequins do have some limitations to keep in mind. You can have a maximum of 10 per lot. Create outfits that are shared between each type of mannequin per lot. To create additional outfits in Create A Sim, click on the outfit category, then click on the arrow above the category. Here you can add up to 5 outfits per category, for a grand total of 30 unique outfits. Tip: You can edit the shape of a mannequin in Create A Sim the same way you would with a Sim. You can get up to 3 extra employees who aren’t in your household in one store. You can hire or fire Employees in the retail shop you own. You can choose Sims with higher skill levels but they will cost a bit more. Customize their store uniforms that they need to ware at your retail shop. Your employees will gain experience when they are working for you and build up their skills. Employees have three different skills that determine how well they work: Sales, Maintenance, and Work Ethic. There are cheats to increase these skills. Employees who are proficient at maintenance will be faster at restocking items and cleaning the store. Employees raise their Retail Maintenance Skill by performing their job after being instructed to Restock Sold Items or Clean. Employees who are skilled at sales will have greater success interacting with customers, and will ring up shoppers faster once they’re ready to buy. Employees increase their Retail Sales Skill by performing their job after being instructed to Assist Customers, Upsell, or Push Cheaper Items. Employees with low work ethic will play with their phones, socialize with other employees, or just have fun while slacking off. Berating an employee will slowly increase their Work Ethic Skill over time. Tip: Praise them and check up on them. Unlock new options and items for your Retail Business by purchasing them with the Perk Points you gathered. Perks that are purchased will be applied to every member of your household. This is a complete list what you can buy with Perk Points in The Sims 4 Get to Work. There are cheats available to get the Perks you need. When you need some ideas on what kind of business/store you want to create, here are some great options! 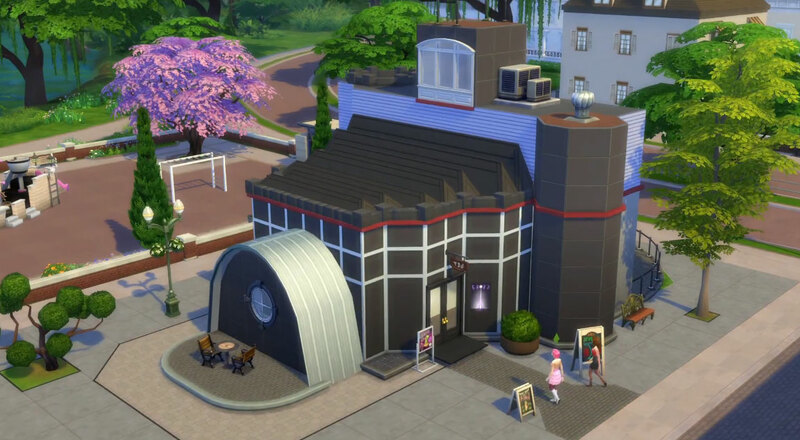 Got some great store ideas for your own Sims? Reply with your ideas! Make a sports store and sell work out equipment. Really very nice and enchanting post to open new retail store.